A liberal arts college, as opposed to a professional, vocational, or technical school, focuses on developing whole persons through an education in the humanities, natural sciences, and social sciences. By asking students to learn in many disciplines, a liberal arts education produces graduates who are aware, perceptive, critical, and creative, and it gives them the tools they need to thrive in an ever-changing world. A liberal education helps students develop a sense of social responsibility, as well as strong and transferable intellectual and practical skills such as communication, analytical and problem-solving skills, and a demonstrated ability to apply knowledge and skills in real-world settings. Indeed, according to a recent survey (PDF), 74 percent of employers indicated they would recommend a liberal arts education to college-bound students. And in an ever-shrinking world, a liberal arts education prepares students to be informed and active global citizens. "If there is anywhere that college is still college—anywhere that teaching and the humanities are still accorded pride of place—it is the liberal arts college." —William Deresiewicz in "Don't Send Your Kid to the Ivy League"
At Luther, we uniquely embrace the liberal arts through our curriculum generally, and specifically through our signature Paideia program, an interdisciplinary, school-wide course series that asks students to contemplate complex questions. The program also incorporates performances and events, and it creates a campus-wide conversation that keeps students engaged in learning. But liberal arts learning extends beyond campus. In ancient Greece, the liberal arts were designed to develop an active and educated citizenry. In the twenty-first century, our citizenship is global. Luther places a premium on introducing students to the wider world, and more than two-thirds of our undergraduates study off-campus through dozens of programs that span the globe from Cambodia to New Zealand to Tanzania and beyond. But while the liberal arts encourage broad—and worldwide—learning, students at Luther also choose an area of focus—a major—and they’re encouraged to research and intern within this major in order to test their future career goals and gain real-world experience within a profession. 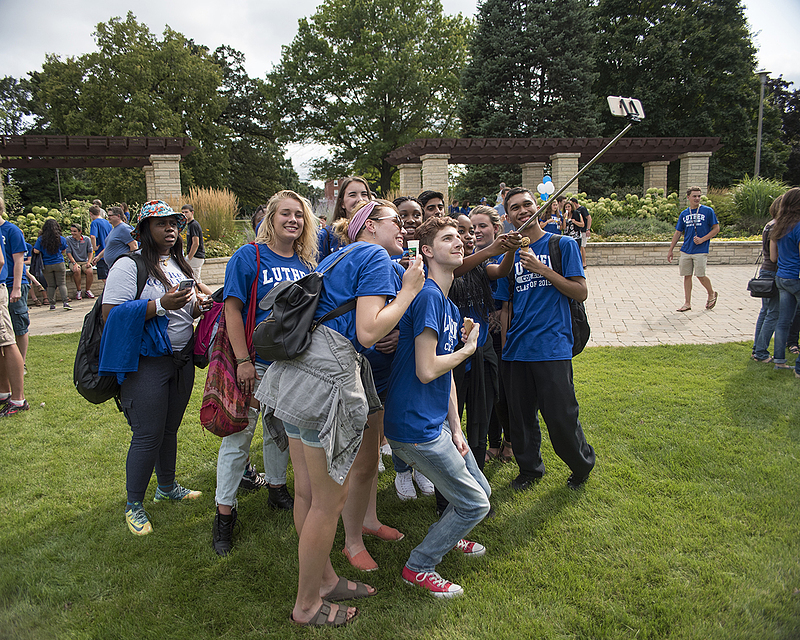 A liberal arts education at Luther qualifies students to work in their chosen field, but enables them to work in a number of other fields as well, by teaching them to think flexibly and expansively, and by allowing them to graduate with a rich body of knowledge upon which they can draw to solve problems, think critically, and work creatively in many areas. The liberal arts foundation that students build at Luther will help them develop academically, professionally, socially, and personally throughout their lives. Hear a student's perspective on how his work study position in the Photo Bureau has led him to appreciate the liberal arts. Infographic that says, "Eighty percent of employers think every student should acquire broad knowledge in the liberal arts." Get the lowdown on liberal arts education on the Power of Liberal Arts website. About Luther maintained by huintr01. Page last updated on 2 May 2018.